CarniSlim is a complex of 5 different carnitine series compounds that form the most complete carnitine product for better physiques. Performance and weight loss! * Since the heart, brain and liver are three organs with very high energy needs CarniSlim supplementation with carnitine ensures they have all the energy they need to function. Hi-Tech researchers discovered different forms of carnitine benefit different parts of the body. 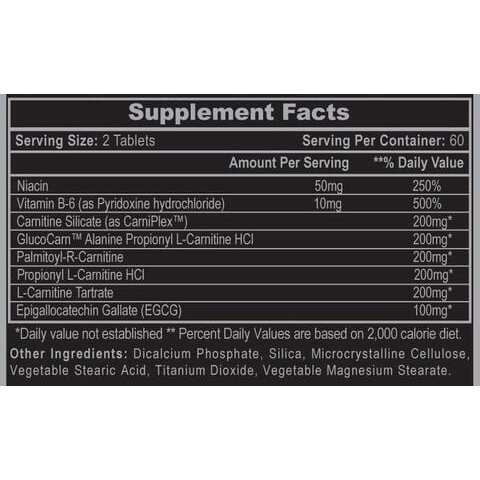 That’s why CarniSlim included five different forms of carnitine series compounds. 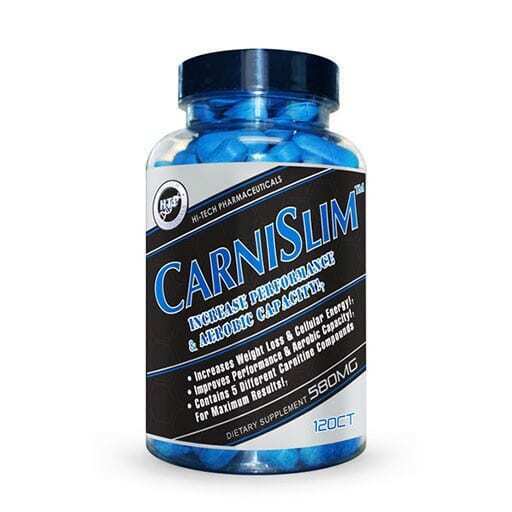 CarniSlim contains carnitine silicate (as CarniPlex) – a unique, proprietary and state-of-the-art carnitine compound only manufactured by Hi-Tech Pharmaceuticals for the revolutionary Carnislim. This mixture of carnitine, Inositol, and potassium silicate combines the coronary function improving effects of both carnitine and silicate in an inositol-stabilized form that promises improved bioavailability of both silicate and the carnitine. Research has shown dramatic protective effects of the novel amino acid compound carnaitine silicate in pre-clinical studies. CarniPlex research concluded that the carnitine silicate Inositol complex is absorbed efficiently, raises plasma carnitine levels, and is more biologically effective than a carnitine base.